Twitch.tv is streaming ALL 886 episodes of Mister Rogers Neighborhood over 18 days. Amazing! You can watch right now! Today we released 20 monarch butterflies that emerged from their chrysalises. The season started off seemingly slow. We weren’t finding caterpillars like we had at the same time last year. I guess they just got a late start, because eventually they started rolling in. Altogether, we’ve probably released 50 or more butterflies so far this year. Jadzia and her Vogt schoolmates pose for a photo in the bandshell at January-Wabash Park after the concert. What a great afternoon we had enjoying the artistry of Jadzia and other Ferguson kids! The event was designed as a response to recent events in Ferguson and throughout St. Louis. Students from across the Ferguson-Florissant school district and neighboring districts sang, acted, and spoke in order to bring peace, joy and love through the arts. Jadzia watches Muncher the butterfly hang on to a curtain. Today I bring you the second part of the Muncher and Cruncher saga. There is sadness and there is hope. The following story was written by Jadzia. After the story is a video, which I filmed. A monarch butterfly sits on one of our milkweed plants. Photo by Jadzia. 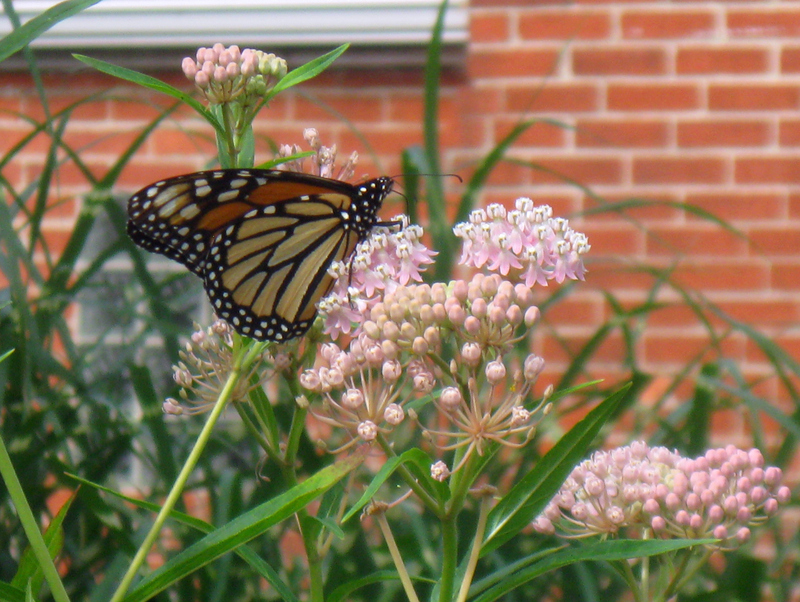 Our milkweeds have attracted a lot of butterflies. It’s given a lot of joy to my kids, especially Jadzia. But a few days ago she found a dead Monarch butterfly. She was devastated. I had never performed a butterfly funeral or prayed for them, but it comforted my daughter’s tender heart. Enter Muncher. Wednesday morning, Jadzia found a Monarch caterpillar. She had been looking forward to finding some. We looked for more caterpillars, or perhaps eggs, but found only this one. She named it Muncher. 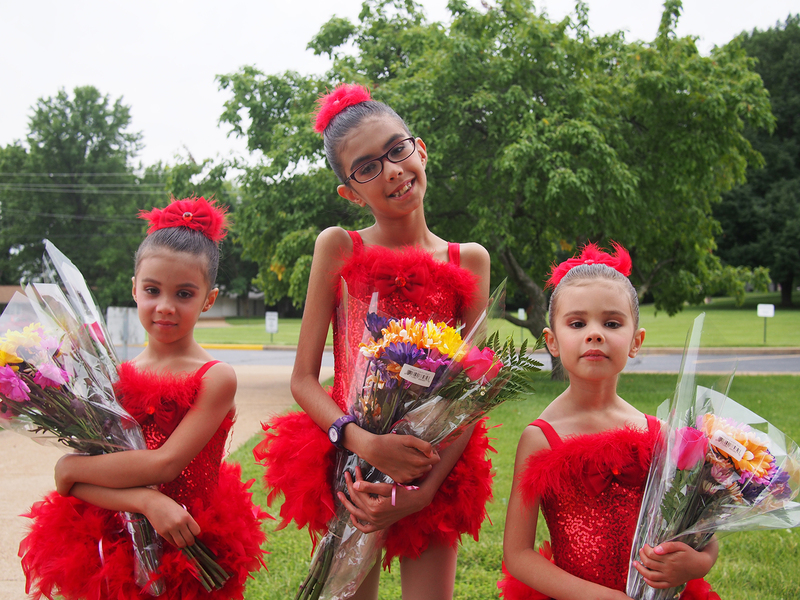 The girls first dance recital was a major production. 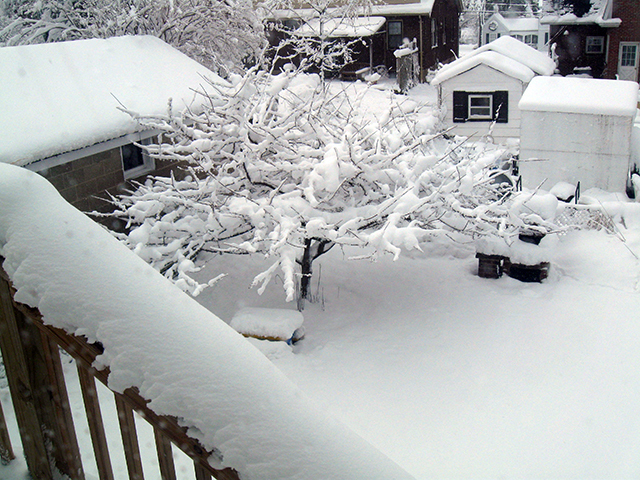 A view of the backyard from our porch. Technically it is spring. But if you can overlook that, the Winter of 2012-13 turned out to have several good snowfalls. Yesterday we got about a foot of snow. Last year around this time spring was in full bloom. 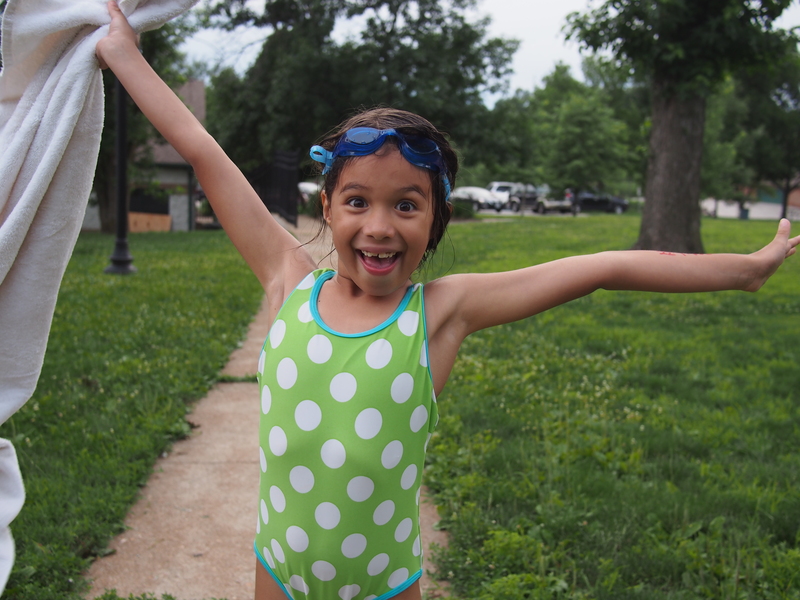 This summer we enrolled Jadzia and Ludi in swimming lessons as January-Wabash Park in Ferguson.